Stephanie, A History: Shiver Winner!! Congratulations to Melissa Buron! 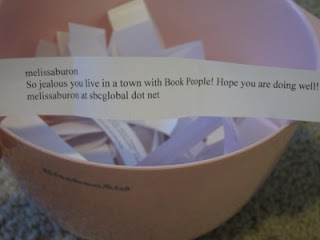 She is the winner of my signed copy of Shiver by Maggie Stiefvater! Melissa I have emailed you, you now have 48 hours to respond with your mailing address so I can mail this puppy off to you! Thanks to everyone who entered! I'll have another giveaway soon!